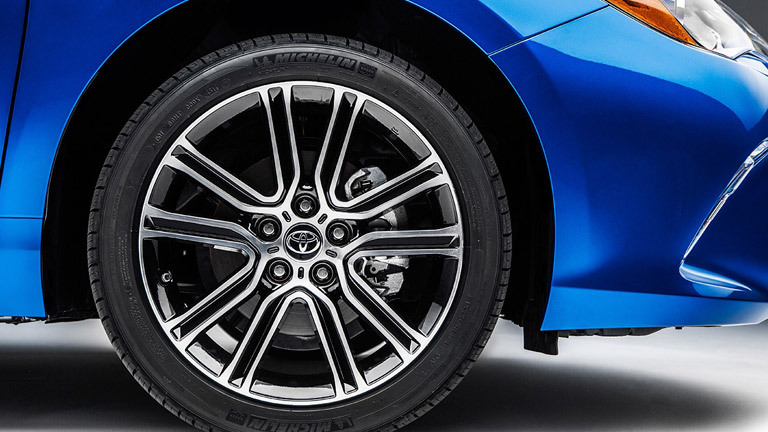 In the world of the sedan, there isn’t a vehicle that better encapsulates everything drivers want and need than the Toyota Camry. As one of the most popular sedans money can buy, Toyota Camry it is easy to see why it is such a crowd pleaser. It has a ton of cool features, it is efficient and it is versatile so drivers can easily transition onto all of their different responsibilities throughout the day. The 2016 Toyota Camry Brampton ON is available at Attrell Toyota and has a starting MSRP of $24,505. The 2016 Toyota Camry comes standard with a 2.5L engine that has a fuel efficiency rating of 9.4L/100KM in the city and 6.7L/100KM on the highway. This means that no matter the destination of your journey, you can always plan on getting there efficiently. It has enough seating to fit five comfortably and 10 airbags to keep all of those passengers safe. Speaking of safety, there are also a ton of features that work to keep everyone in and around the vehicle in good hands. A few of the safety features that stick out to us include the available blind spot monitor and rear cross-traffic alert system, the rearview backup camera and Toyota’s Star Safety System. Get the 2016 Toyota Camry Brampton ON at Attrell Toyota! 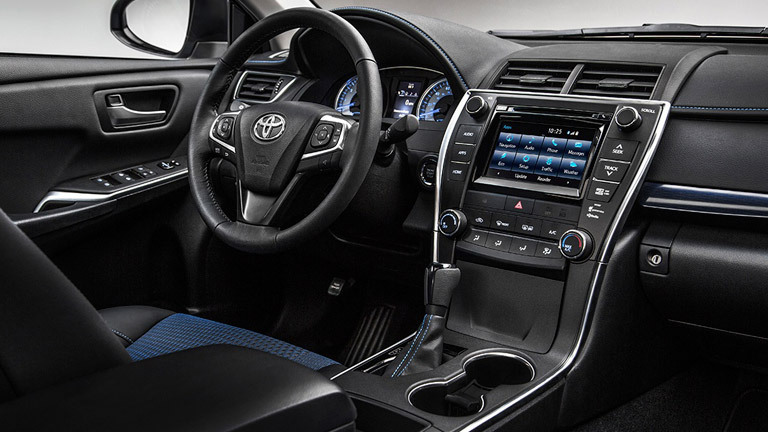 The 2016 Camry is not only safe and reliable, but it is also fun to drive. Some of our favorite features include the driver-focused instrument panel, the in-console wireless charging station, a standard USB connection and Bluetooth connectivity. Also available is a power moonroof, a blind spot monitor system, a digital compass and a rearview backup camera. No matter what model Camry you get, it is easy to see why so many drivers love it. There are options for everyone. From the six available models, not even including the hybrid model, there is bound to be a Camry for everyone. You can test drive a 2016 Toyota Camry today at Attrell Toyota!